Toyota has teamed with one of its subsidiaries, Hino Motors, to bring a new fuel cell bus to Japan. The bus is based on the hybrid buses that Hino has developed in the past and will be equipped with a hydrogen fuel cell that has been designed by Toyota. This same fuel cell technology is being used to power another Toyota vehicle, the Mirai, which was launched in Japan late last year. The bus represents another step in making Japan’s public transportation space more environmentally friendly. Japan has been investing heavily in clean transportation in recent years in order to reduce the amount of emissions that vehicles produce. The vast majority of public transit vehicles operate using conventional fuels, such as diesel, and shifting away from these fossil-fuels is becoming a significant priority in several countries, especially as they work to become more environmentally friendly. Toyota and Hino have begun testing the new fuel cell bus in order to determine its capabilities. Field tests will allow the companies to better understand how the bus will operate in fit into the overarching public transportation network. 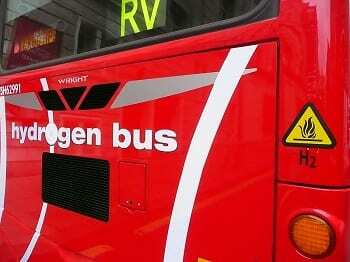 The tests will also help the companies gain more insight into the existing hydrogen fuel infrastructure in Japan, which will help Toyota and Hino bring the bus to the commercial market more quickly. The bus has been designed to optimize power output and will be relying on two fuel cell stacks that have developed by Toyota. The bus will have eight high-pressure hydrogen fuel tanks, which will provide the fuel cells with the fuel they need to produce electrical power. Hino has handled the development of the bus itself, including the vehicle’s chassis and its overall design. Depending on how the field tests go, this may be the first bus that the companies develop together and bring to the public transportation space.